Luck Of The Draw. Double elimination with all games being 301. 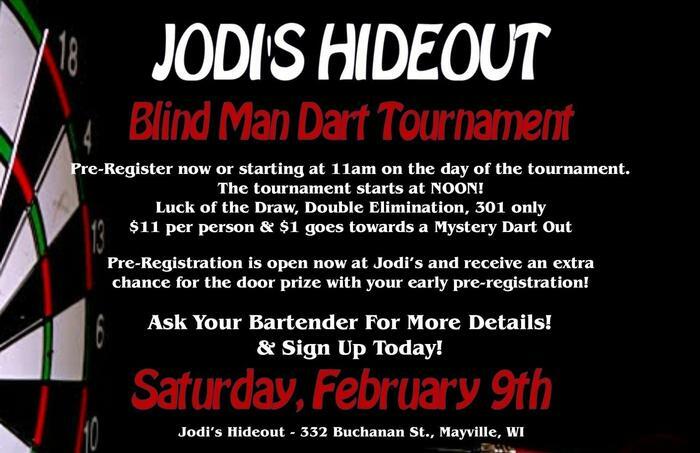 $11/Person with $1 going towards a Mystery Dart Out. Sign in starts at 11:00. Shooting starts at Noon. 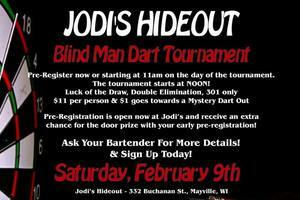 Pre-Registration starting now at Jodi's Hideout.